12 Things You'll ONLY Get If You Just Loooove Snapchat! Almost EVERY girl is on Snapchat today. It’s like her new bff. It’s amazing, fun and extremely addictive. It gives your friends a virtual peek into your reality! If you’re on Snapchat too, here are 12 things that you’ll totally relate to! 1. Checking your friends’ stories and updating your own feels like an everyday thing now. Admit it - it’s the first thing you check when you wake up, and last before you sleep. 2. 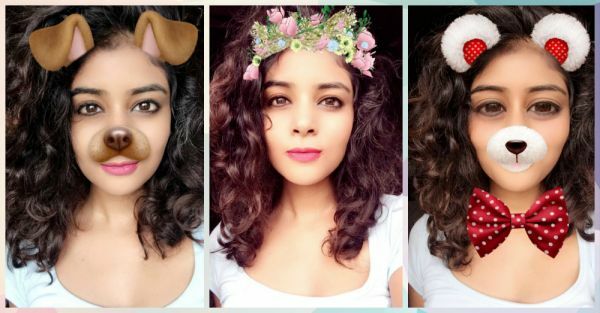 You’re obsessed with trying out different filters and can’t get enough of them! Pretty sure that the dog or the flower crown filter are among your favourites! 3. Before you tell anyone how your day was, they already know what you did, what you ate, what you wore and where you went. 4. Even though WhatsApp messaging exists, there’s a different thrill of chatting through snapchat. And using those cute emojis and stickers! 5. Snapchat gives you the freedom to be your creative self and think of your phone’s screen to be a canvas! A digital Picasso in the making, yo! ;) Also read: #InstaLove: 11 Signs You Are a Hopeless Instagram Addict! 6. You’ve managed to unlock every trophy on snapchat and beaten all your friends’ scores like a boss. 7. One of the best features on Snapchat is that it lets you know who viewed your snaps! 8. “Follow me on Snapchat” is in the bio description on your Facebook, Insta, Twitter and even on your Linkedin profile! 9. At some point, you’ve sent a naughty snap or msg to your crush! 10. There have been times when you liked a snap so much that you’ve saved it, resized it and uploaded it on insta. Face it! The best selfies are clicked on snapchat. 11. You’ve also secretly stalked the scores and best friends of your friends just to keep a tab if they’re active and know who they’re snapchatting. If they aren’t snapchatting you, who are they sending snaps too?! You need answers. NOW!